Notes: When opened on 14th June 1847 the station was called Barking Road. 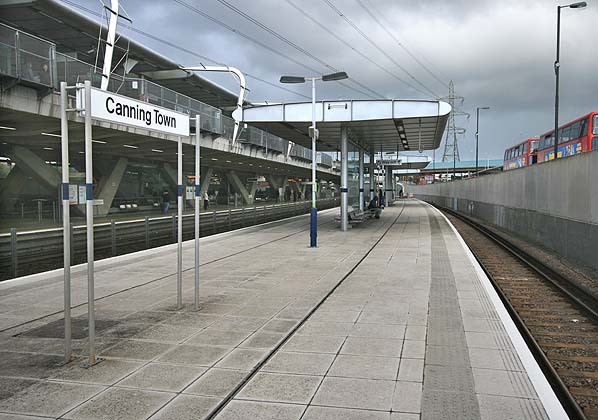 The Station was rebuilt in 1873 and in July of that year it was renamed Canning Town. 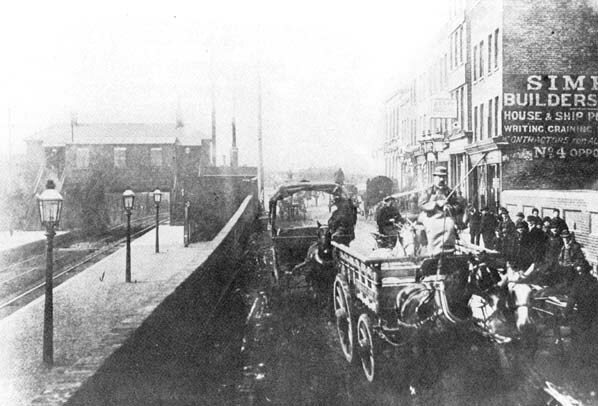 In 1888 the station was resited to the north side of Barking Road. 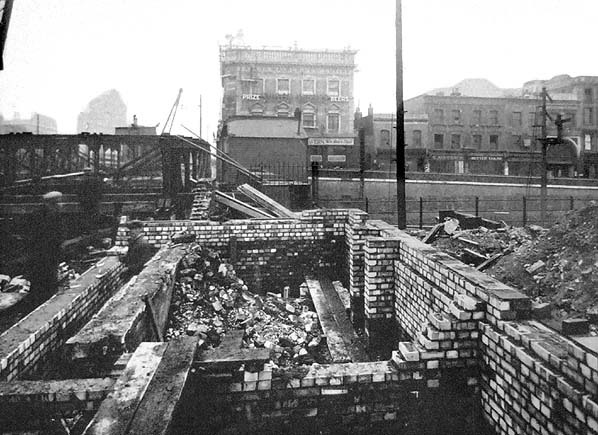 The site of the original station was lost in 1994 during the construction of the Jubilee Line extension when Canning Town was once again resited to a point just south of the original 1847 station. Canning Town Station - widening scheme on the south side of the road, showing what appears to be the remains of the old station building on the corner of Victoria Dock Road, opposite the pub.